The National Institutes of Health (NIH) have been experiencing a turnover in the leadership over the past month as several long-term directors have decided to retire and/or move on to new endeavors. 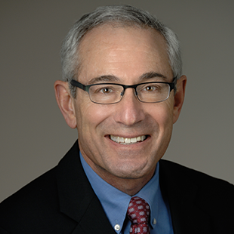 In August, Alan Guttmacher, director of the National Institute of Child Health and Human Development (NICHD), announced his plans to retire at the end of September. The Friends of NICHD paid tribute to Guttmacher on September 15 with a farewell breakfast in recognition of his dedication and leadership in advancing science and improving human health and well-being. COSSA serves on the Friends Executive Committee. As director of one of the few NIH institutes with a “friends” group, Guttmacher always made a point of expressing his appreciation for the Friends’ ability to collectively advocate on behalf of the Institute despite the breadth of its mission and diverse research portfolio. Guttmacher, a pediatrician and geneticist, also served as NIH director Francis Collins’ deputy director at the National Human Genome Research Institute (NHGRI) and its Acting Director when Collins became NIH’s director. In 2010, Collins appointed him director of NICHD. Recently appointed NICHD deputy director and former NICHD scientific director Catherine Spong has been appointed acting director of the Institute. A national search for a new director is underway. NIMH Acting Deputy Director Bruce Cuthbert will serve as Acting Director. Cuthbert, the director of Research Domain Criteria (RDoC) unit, has held a number of leadership positions at NIMH.